Ideal working doc review team size is 3-5. Anything over 8 will slow you down. Anything less and you’ll miss important things. As to who… the “process-oriented” answer is to look at the Rapid Development Team roster in your Product Lifecycle Management system. Afterwards, of course, you’ll have to find out who the *real* Subject Matter Experts are. I have often found that the best SMEs aren’t even on the team anymore, but they may be willing to help you out if you can convince them that you really care about the project for its own sake. Taking too much interest in the work itself often goes contrary to company policy – that should add an extra subversive thrill to your sleuthing. Sometimes upper-level execs take too much interest in a pet project but don’t bother to tell you until you publish something and they they end up yelling at your desk. Your best hope is for them to be so busy that they only have time to meddle every so often. You won’t get this one entirely correct, no matter how hard you try. 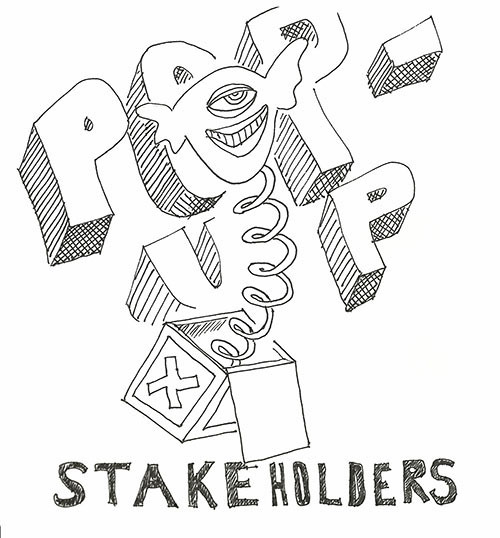 There will always be pop-up stakeholders who you had no idea were even looking at your doc or for what purpose. It’s good to make a distinction between SME reviewers, who help with content development, and gatekeepers or approvers, who may have no familiarity with the product. You want to minimize the number of gatekeepers because these are typically important people you can’t bypass, but because they’re so important they’re impossible to get a hold of, and the lack of sign-off can hold up your project for months (no lie). The “lightweight” method is to just publish whatever you get from people, and get flak for it afterwards.